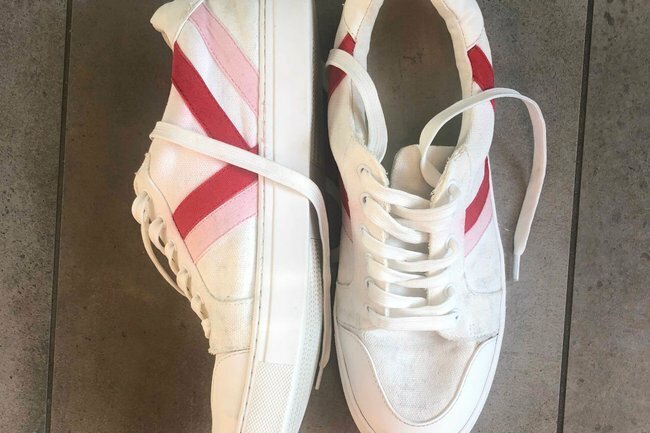 How to clean white shoes: $5 canvas shoe cleaning hack is the best way. When I returned from an overseas trip, my white canvas sneakers were… no longer white. 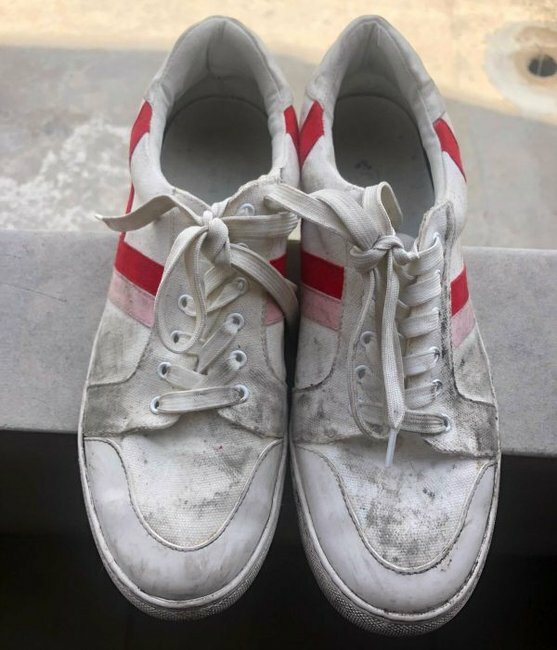 I spent hours wondering how to clean white shoes that seemed to be well and truly beyond repair. They were covered in dirt, the laces were almost black, and to say they no longer looked wearable was an understatement. Toying between soaking them and throwing them out, I remembered a $5 cleaning hack I&apos;d written about a few months prior. While it was originally used to clean fabric furniture stains, I later saw it being used to clean sneakers, so I decided it was worth a shot. All you need is a $5 box of Polident denture cleaning tablets, some stain removing washing powder, a towel and some sunshine. If you don&apos;t have $5, consult your grandma, because yes, the tablets are meant for... dentures. I used a generous three tablets of Polident, and let them dissolve in warm water. I then took the shoe laces out of my shoes, and chucked them all in. A little unsure what to do next, I grabbed an old toothbrush and got to scrubbing, determined that maybe that would help. While the rules for the hack aren&apos;t strict, I left the shoes soaking in the solution overnight. 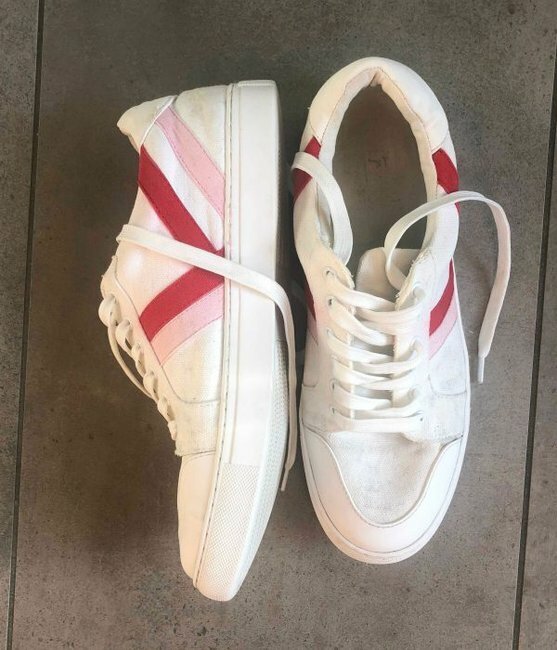 In the morning I put them in the washing machine with some stain removing washing powder and a towel (so they aren&apos;t annoyingly loud in the washing machine), and then put them out in the sun for the remainder of the day. By the end of the process, they looked brand spankin&apos; new. Is that a... sparkle I see? So, next time you&apos;re wondering how to clean white shoes that seem beyond repair, give it one more shot. In less than 24 hours my shoes went from gag-worthy to sparkly and wearable again, and all it took was some denture tablets.